Photo by thinkpanamaGlobal real estate giant IREO will invest 500 million dollars in various infrastructure projects in India. 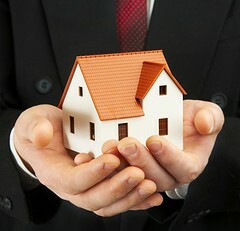 IREO is already one of the largest investors in the country’s real estate sector. The company currently has thirteen projects and is in the process of constructing an IT SEZ in Pune. The company has projects in many states including Haryana, Punjab, Tamil Nadu, Maharashtra and Delhi. The company said it would develop an eight million square feet housing project in the next one year. This entry was written by , posted on July 11, 2009 at 9:35 am, filed under Property News and tagged Delhi, Haryana, Investors, IREO, Maharashtra, Punjab, Real Estate, Real Estate Sector, sez in pune, Tamil Nadu. Bookmark the permalink. Follow any comments here with the RSS feed for this post. Trackbacks are closed, but you can post a comment.